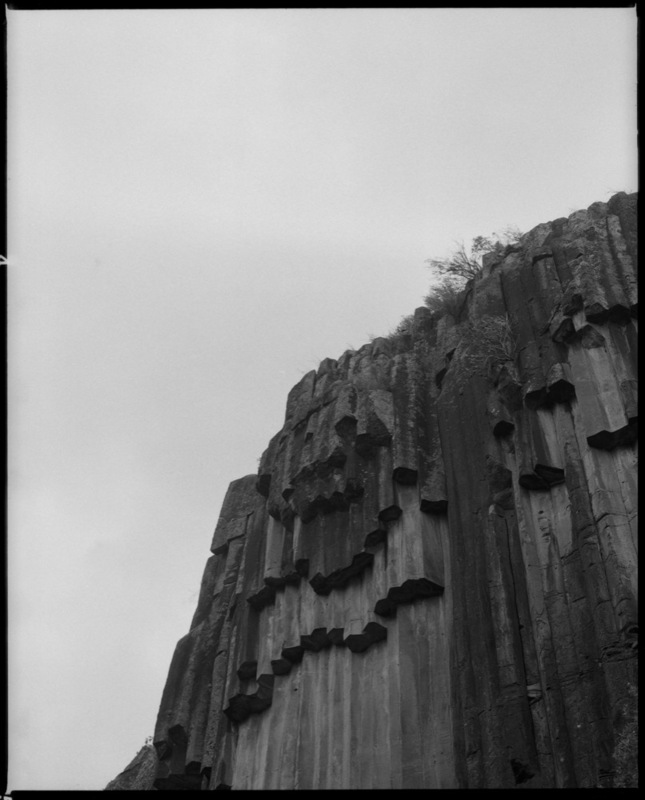 phenomenon of hexagonal rock shapes as seen at Sawn Rocks National Park. 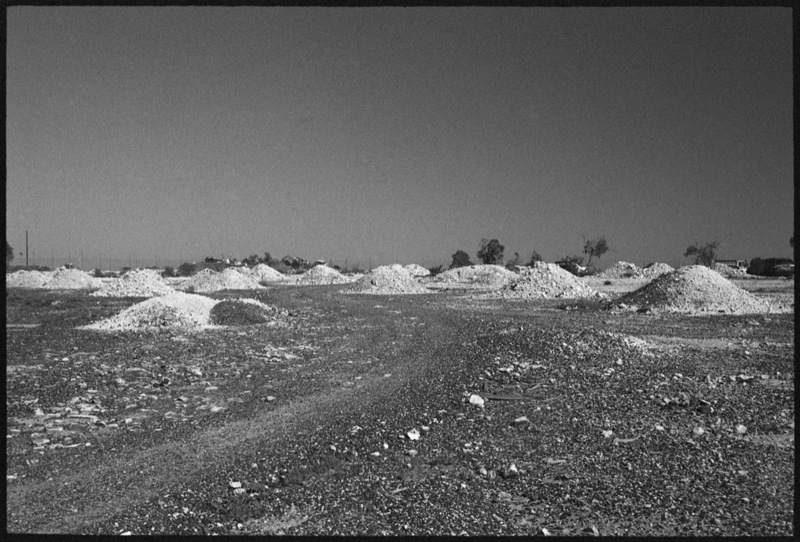 The small Opal Mining town of Lightning Ridge in North West New South Wales. 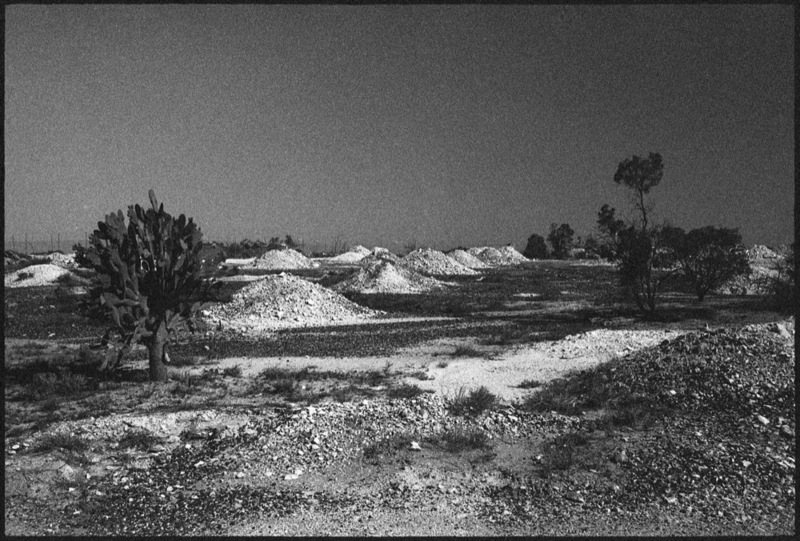 enhances the rough texture of the barren but mineral-rich landscape. 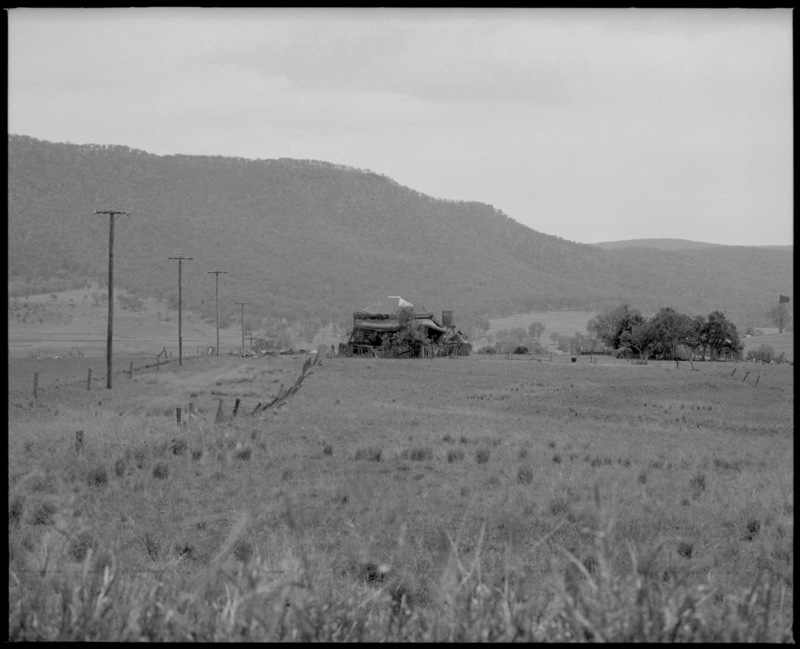 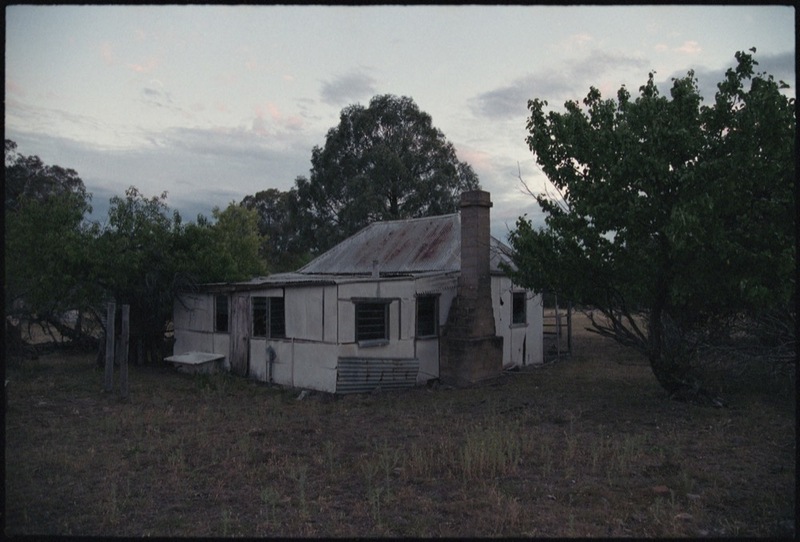 The tiny upper-Hunter Valley town of Wollar has all but been abandoned. 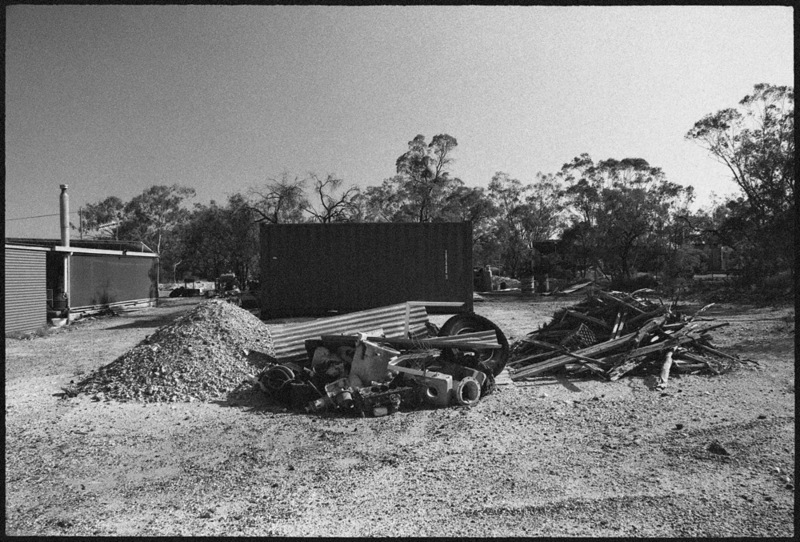 and partially because a lot of the houses appear to have been deemed uninhabitable due to asbestos. 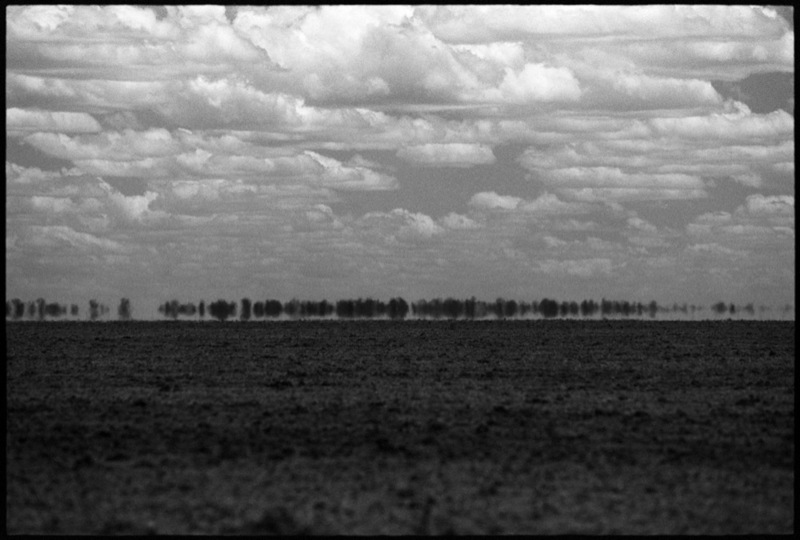 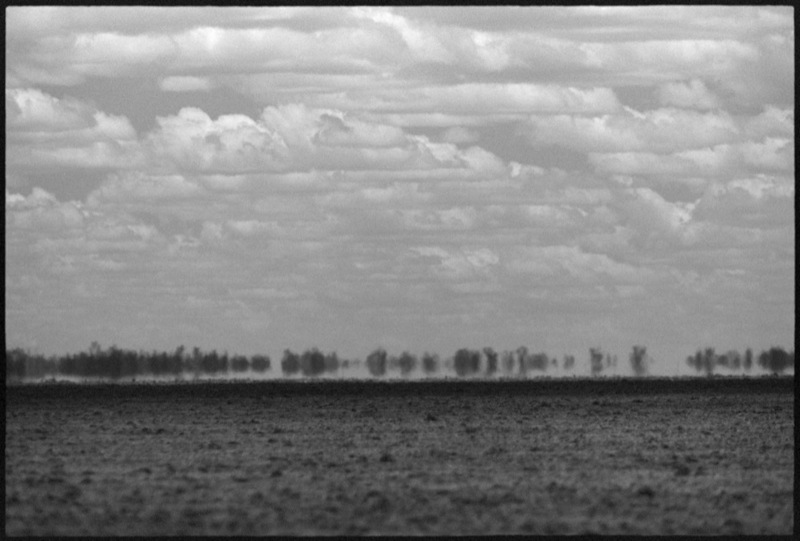 My long zoom lens highlights and enhances the intense heat across the barren and vast fallow crop fields in lower Queensland on a mid-30ºs day in late November. 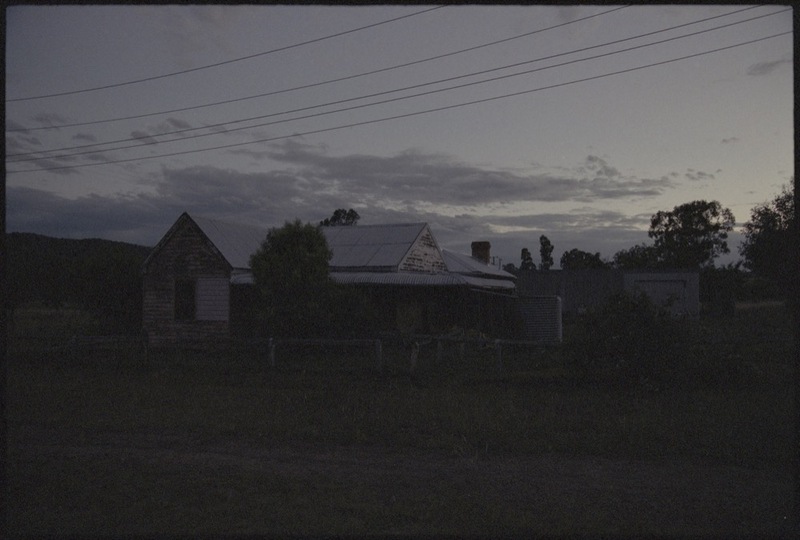 A still and moonless night in the upper Hunter Valley in New South Wales. 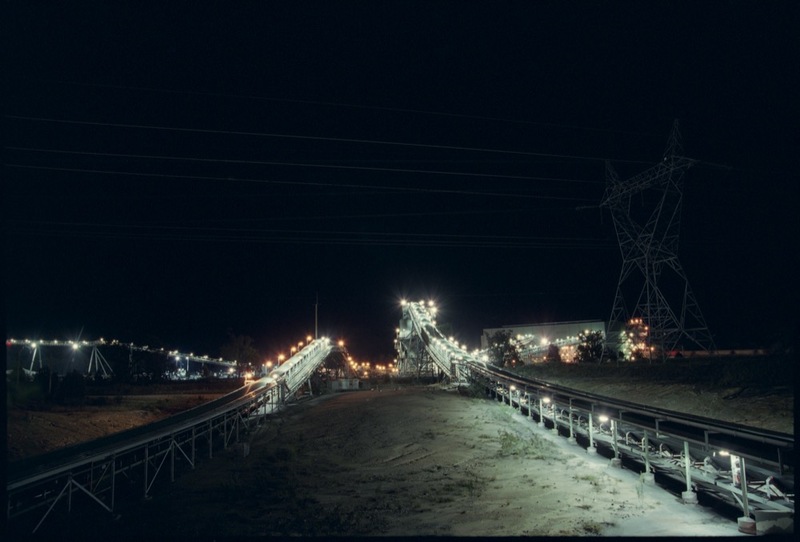 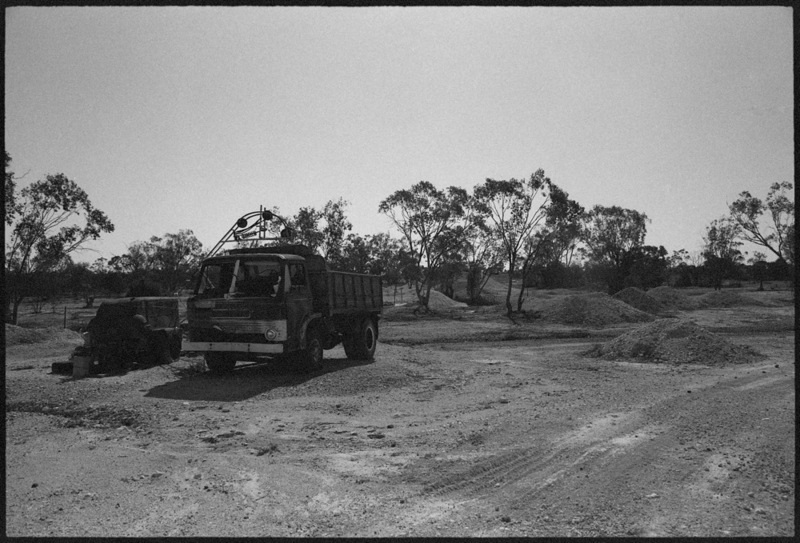 Mines are a frequent sight in the region, and work round the clock with great noise and light. 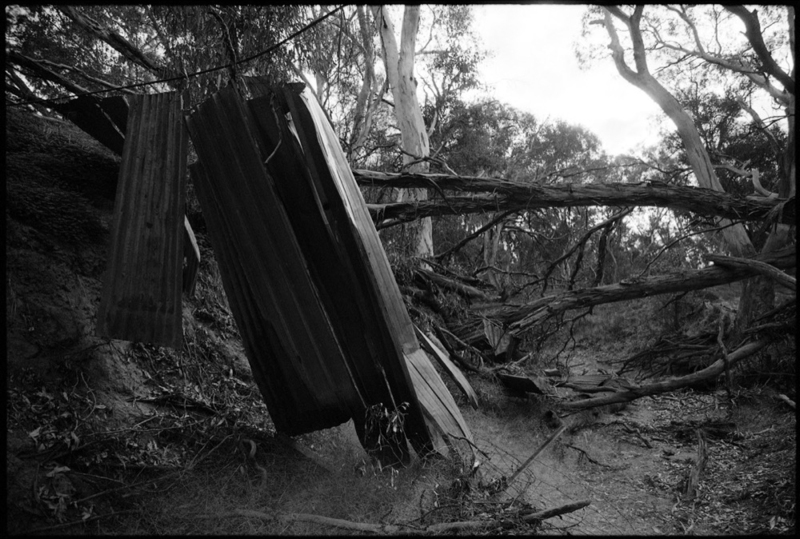 Lake Burragorang, which is the largest catchment lake for the greater Sydney water supply, starts to show signs of stress as long-submerged lake beds are exposed. 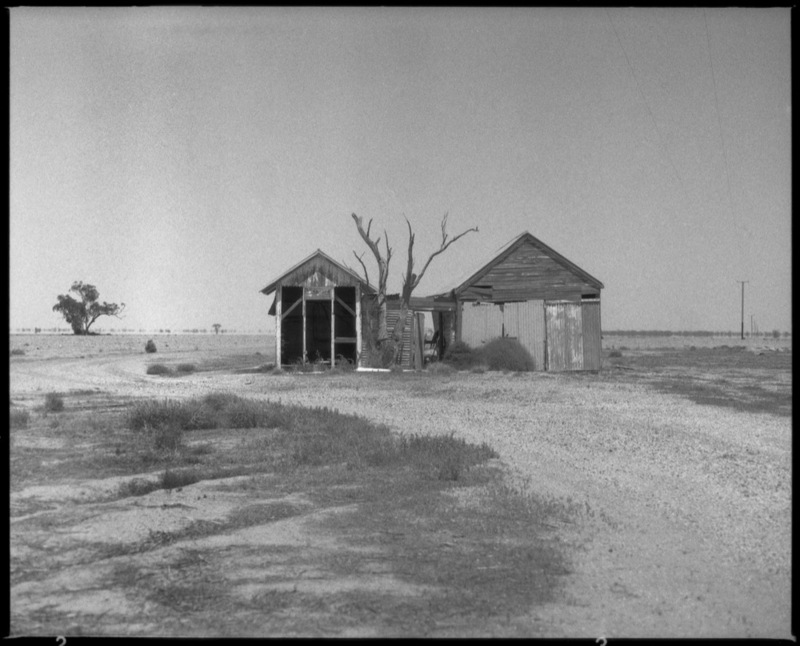 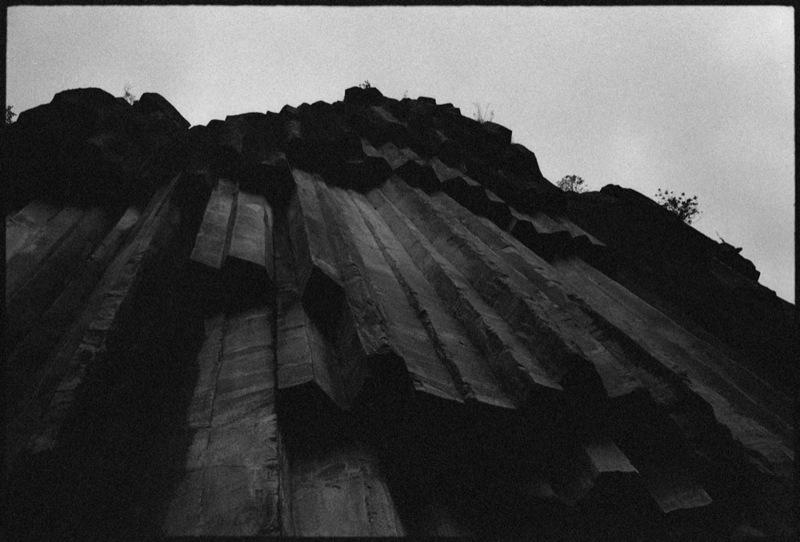 Foma Retropan 320 Medium Format; raw scans, and slightly damaged film. 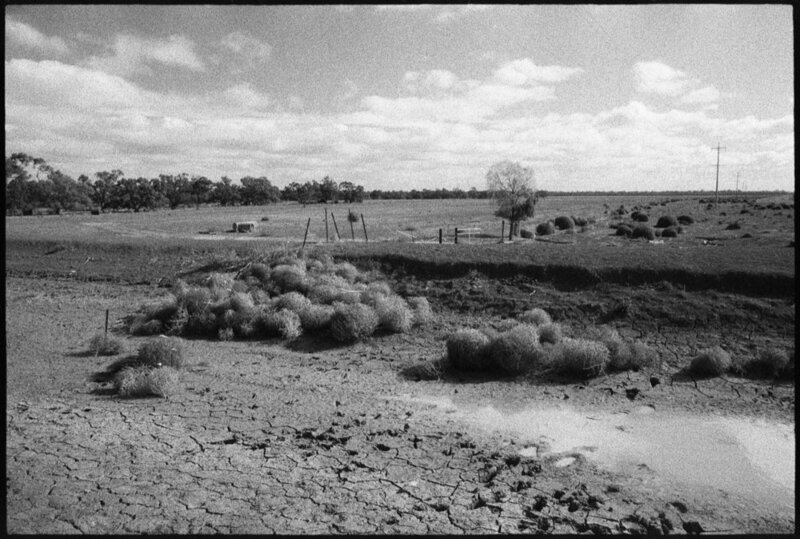 A lagoon which is usually kept wet by the Murrumbidgee River sits dry in Central New South Wales. 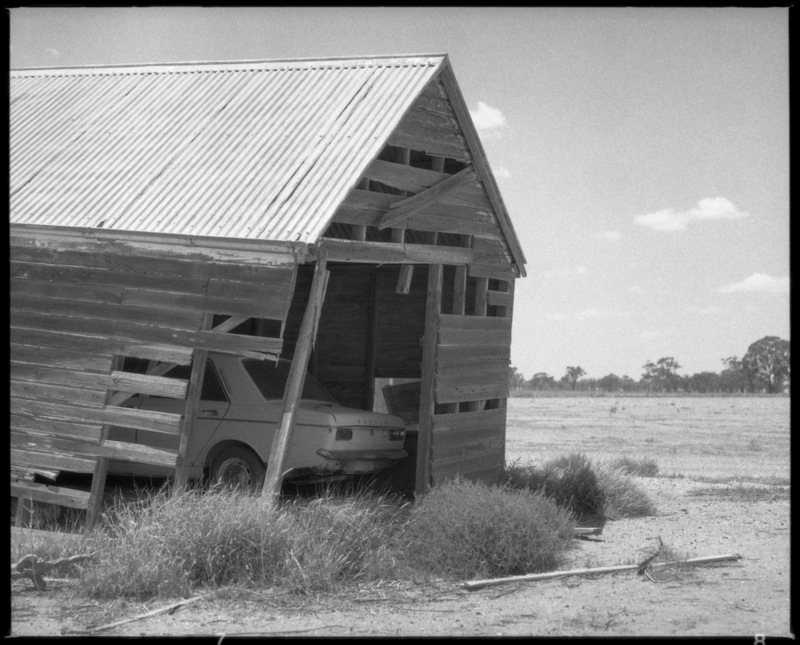 A picturesque rural landscape and old barn that always seems to capture my attention and camera whenever i am in the area. 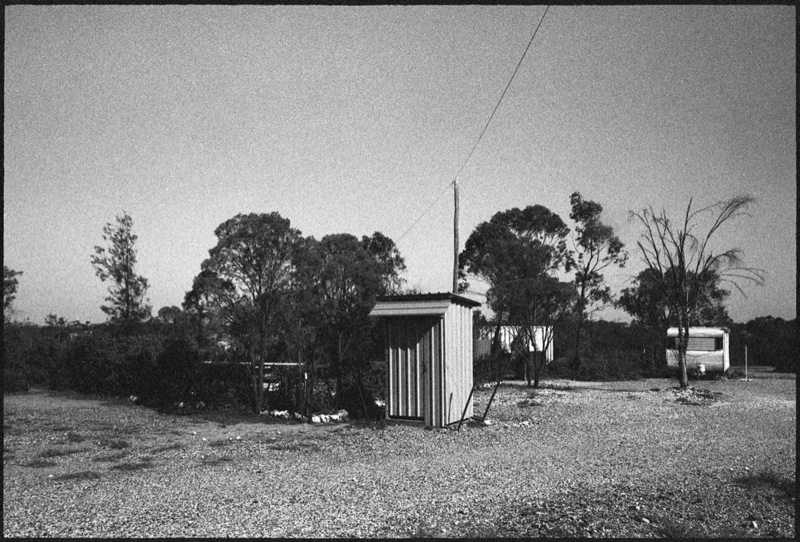 On the outskirts of Western Sydney just out of Picton. 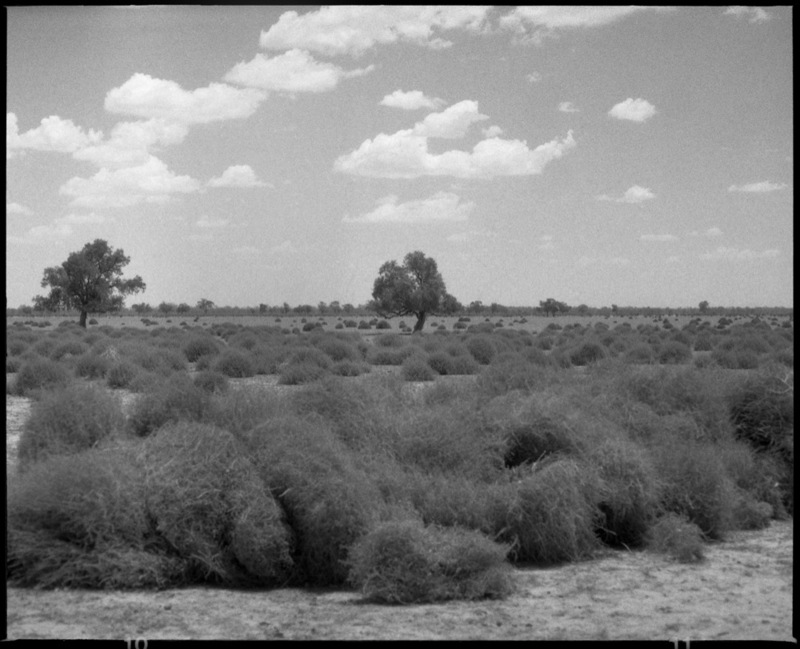 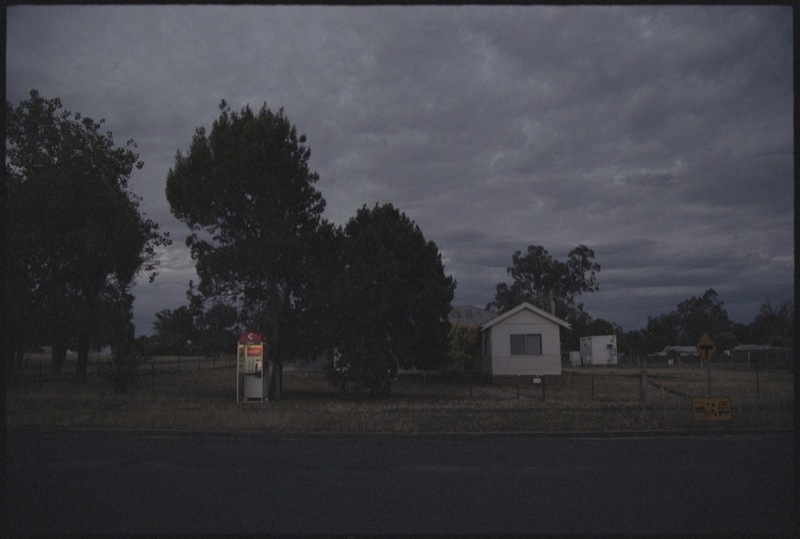 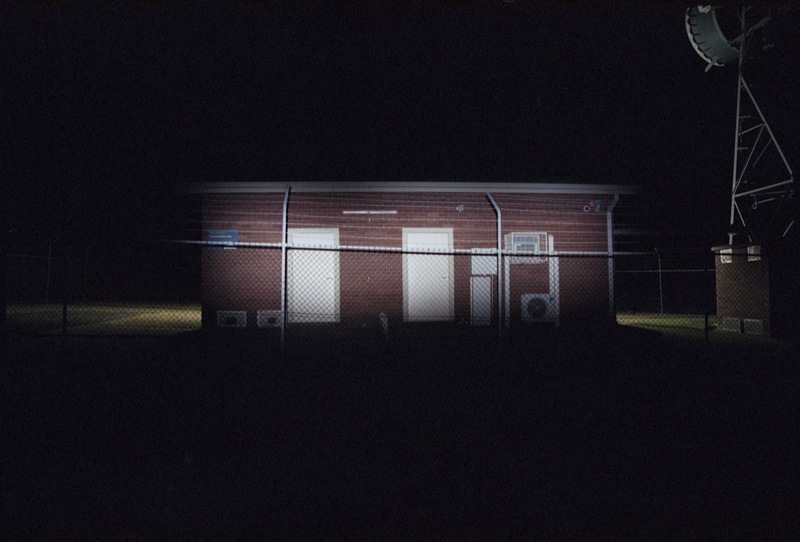 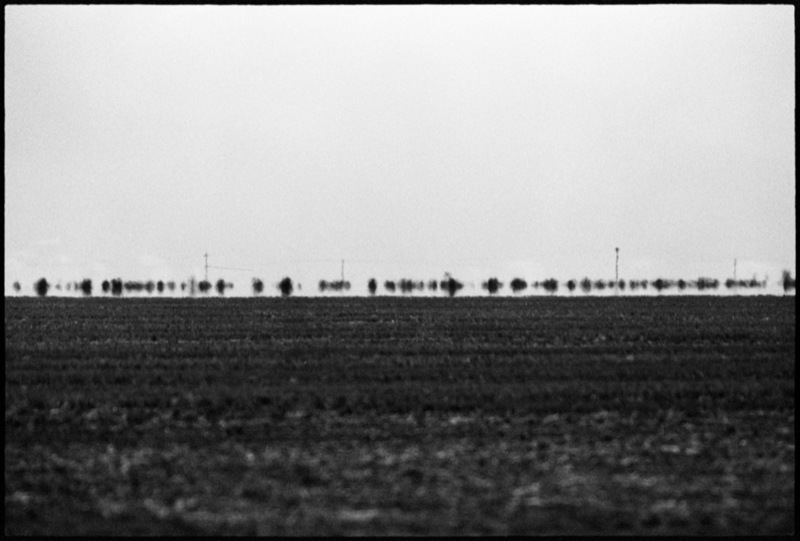 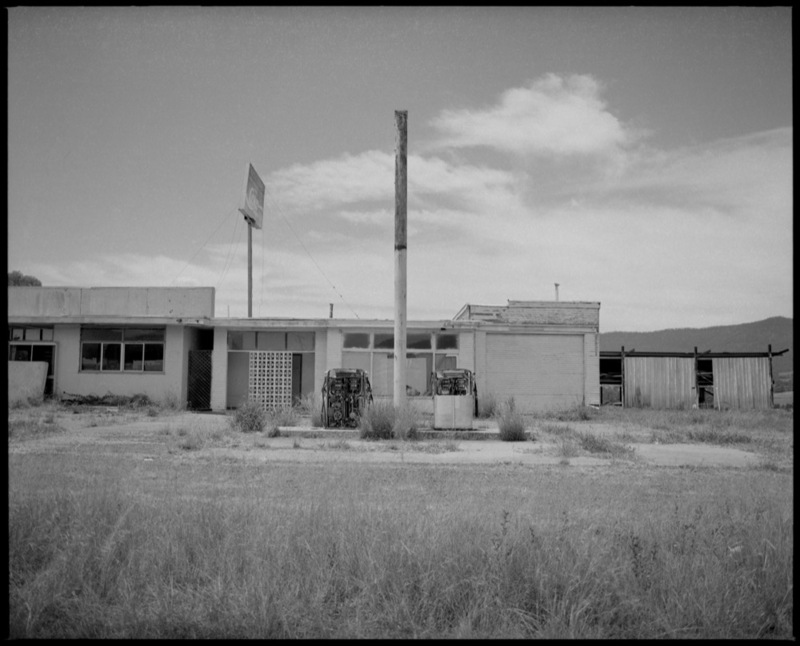 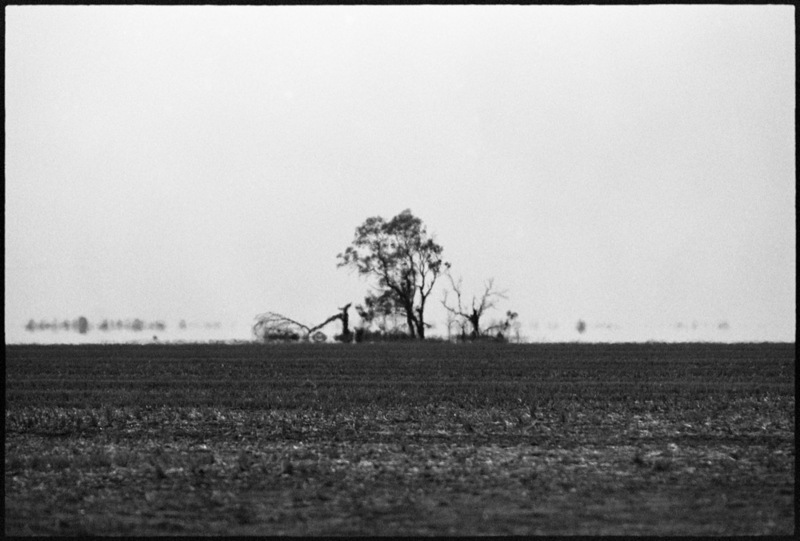 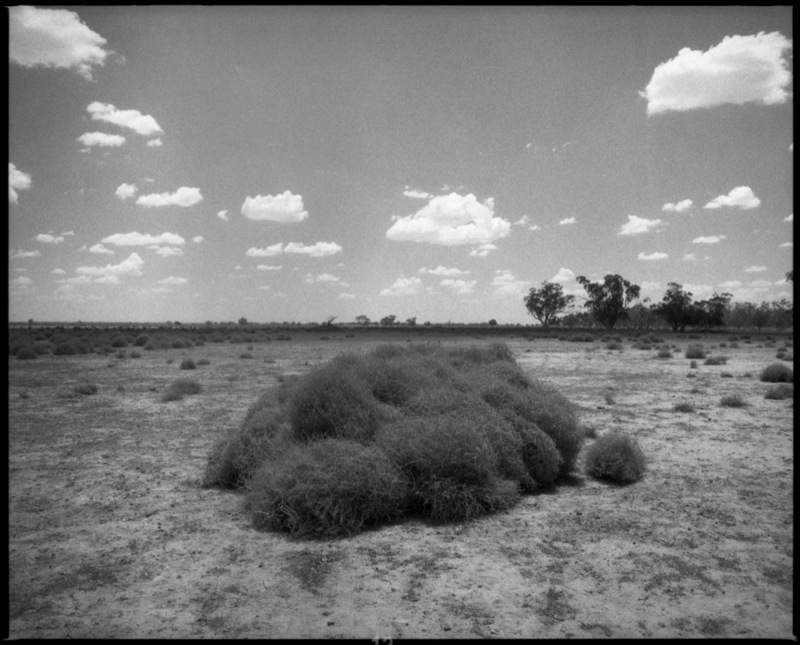 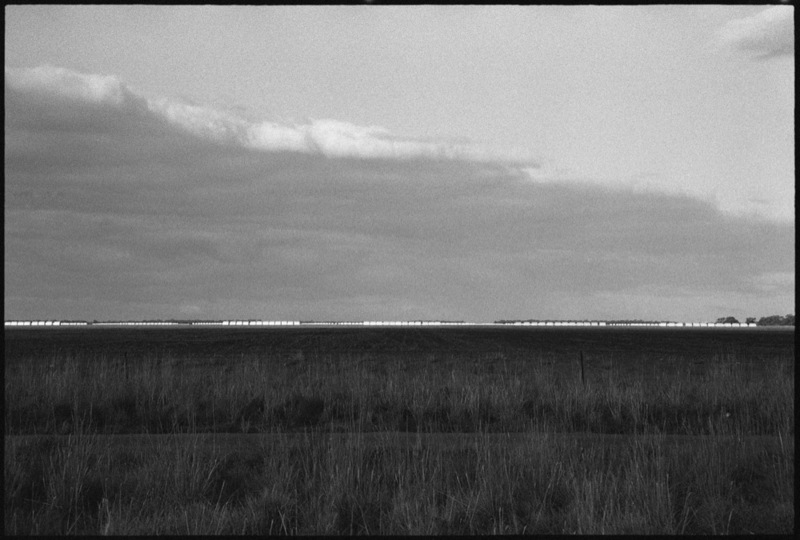 An ongoing project to document a seemingly unchanging Australian rural landscape. 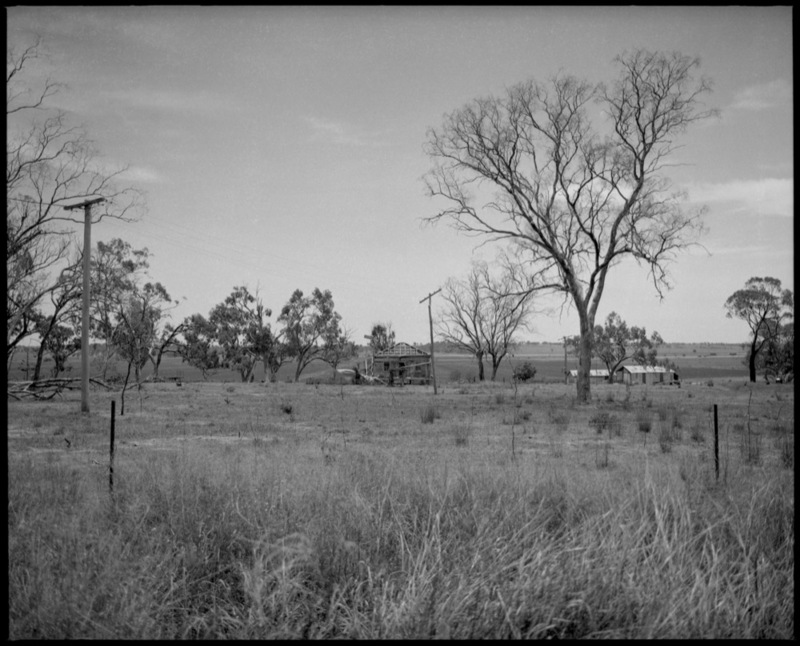 Somewhere between Hay and Griffith, New South Wales. 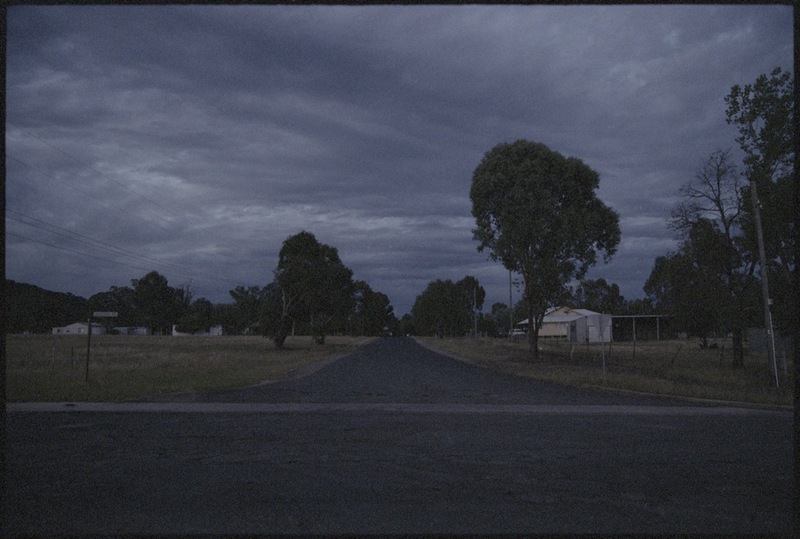 A sunshower at sunset near Griffith, New South Wales produced a magical purplish hue in the sky which was beautifully captured by some Fuji 200 35mm. 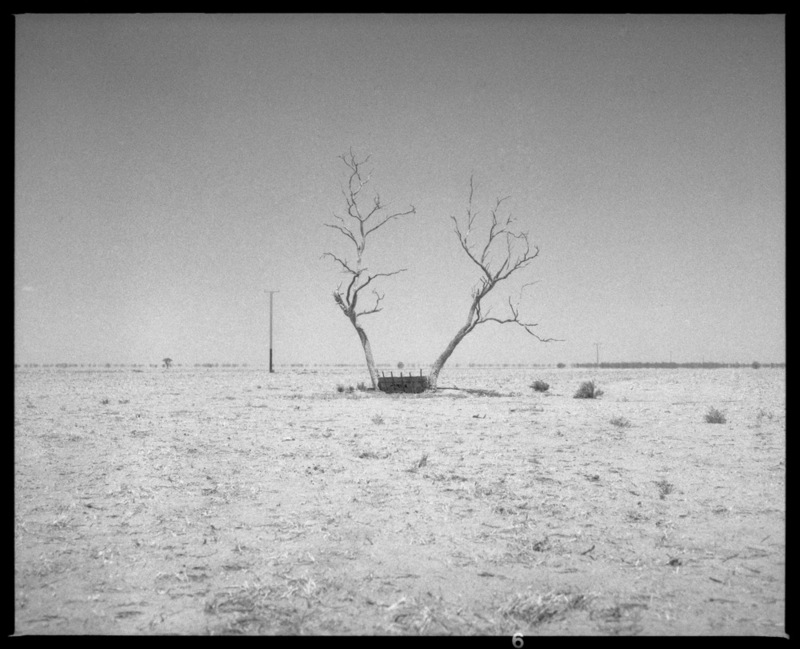 A trip from Hay to Griffith in Southern Central New South Wales during August of 2018 reveals the devastation caused by the drought. 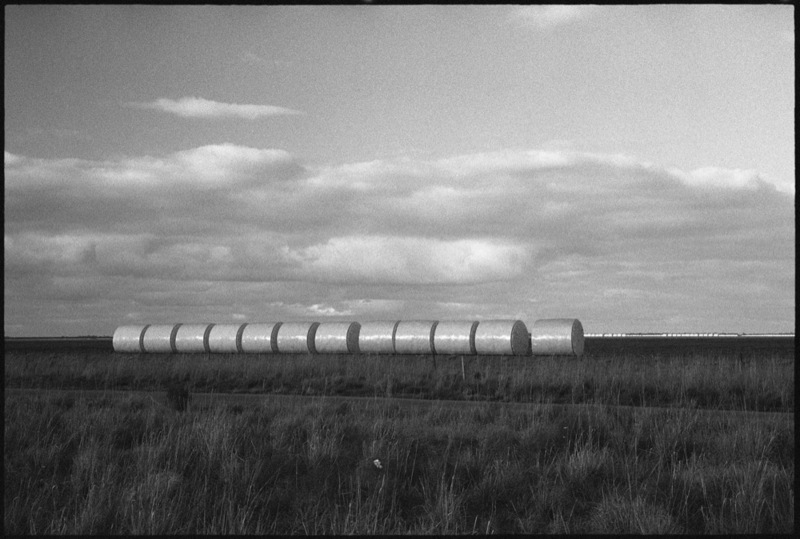 The unique and strange grain structure and tonal range of the wonderful Foma Retropan 320ASA 35mm adds to the bleakness of the scenes. 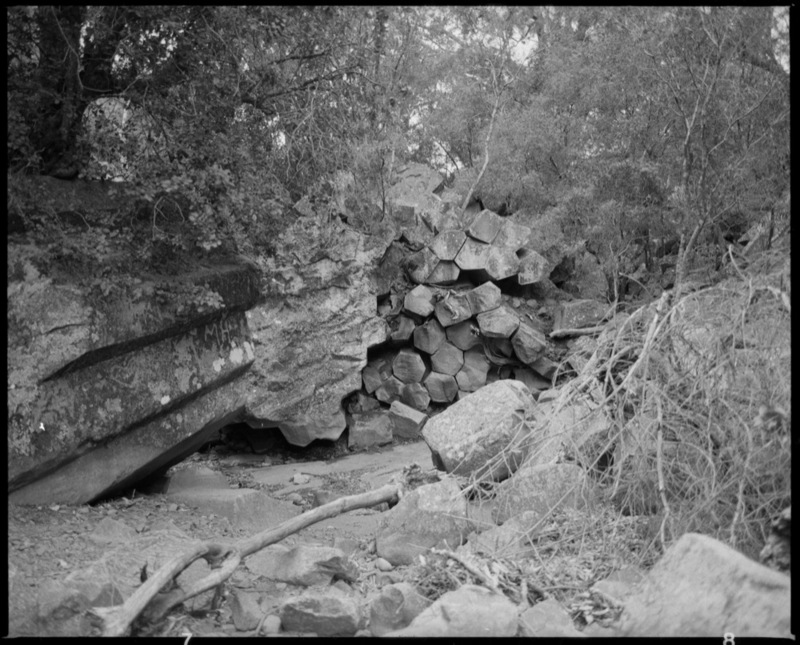 A dry creek i spotted from the road, which has obviously been the subject of a semi-recent flood, before the heavy drought now facing the region. 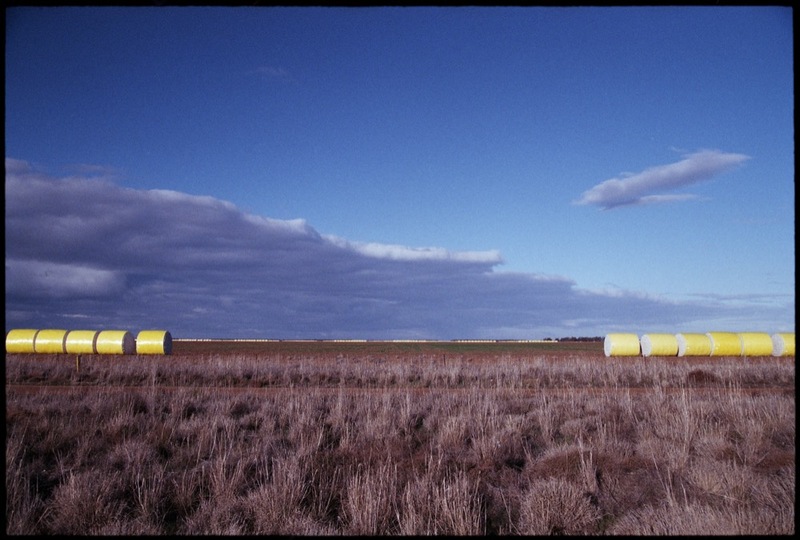 Walbundrie, New South Wales. 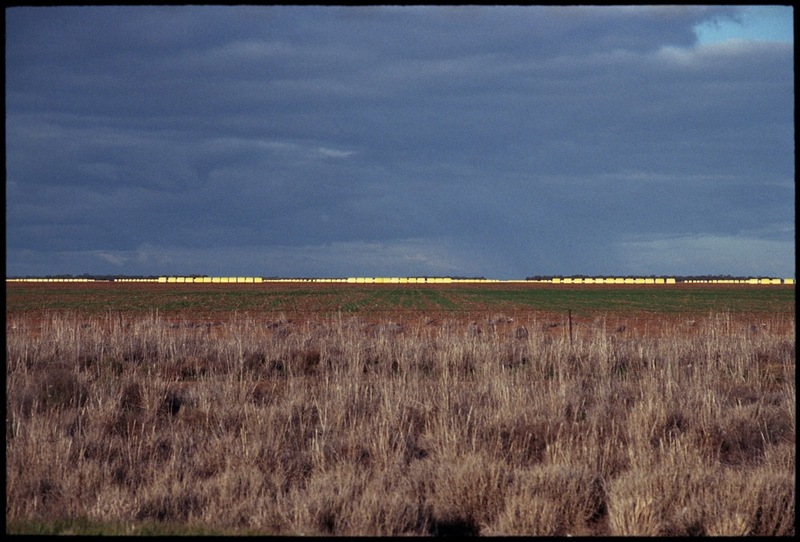 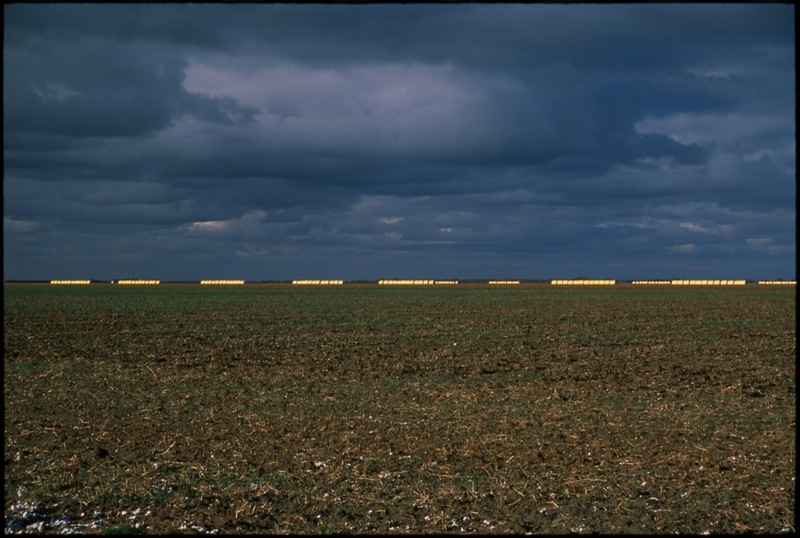 Bright yellow cotton bales catch the setting sunlight and line the horizon on the outskirts of Griffith, New South Wales, as a looming storm approaches overhead. 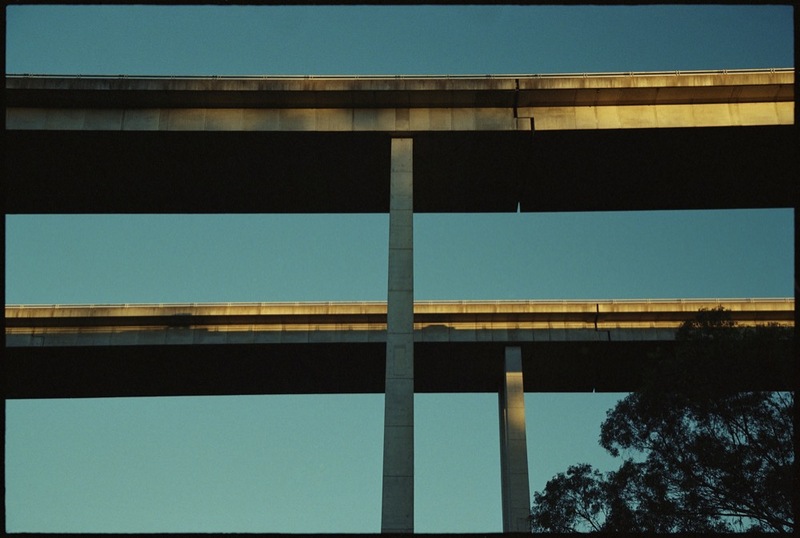 The brilliant yellow setting sun contrasts beautifully against the intense blue sky underneath the Hume Motorway in Southern Sydney. 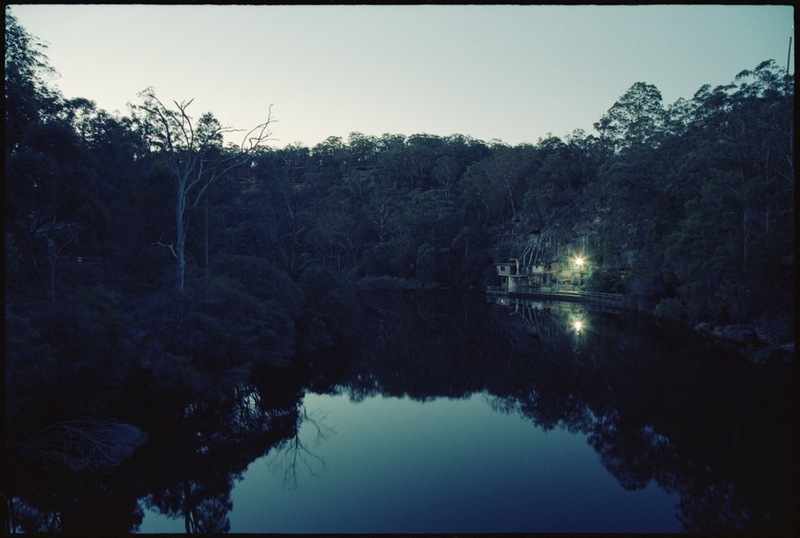 Long exposures captured some magic evening colours and haunting light from the Broughtons Pass Weir near Appin in Southern Sydney.